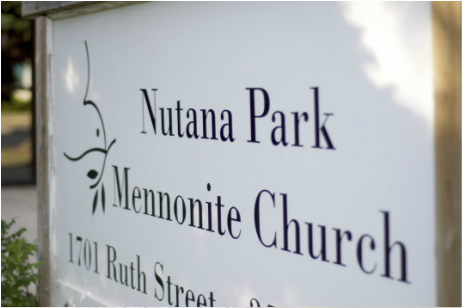 Nutana Park Mennonite Church is community ~ believers and followers of Christ. We are young and old, we are children and parents, grandparents, nieces and nephews, brothers and sisters. We are students and retirees, professionals, professors, teachers and volunteers. We are tradespeople and craftsmen, hobbyists, cooks, gardeners and bakers. We are artists and musicians, poets and preachers. We are together in Christ ~ supporting, trusting, honouring and loving one another. We are this Nutana Park Mennonite Community. Nutana Park Mennonite Church had its beginnings in mid 1963 when the congregation of First Mennonite Church, Saskatoon, decided to build a church in south Saskatoon. Plans were drafted and construction began in September 1964. The doors were opened and the first service was conducted on April 5th, 1965. The organizational meeting of the Congregation was held on January 3rd, 1966 and from that time on the Congregation functioned independently. Nutana Park Mennonite Church welcomes into fellowship and membership all persons who confess faith in Jesus Christ, without regard to their race, ethnic background, gender, age, sexual orientation, income, education, ability, and other factors that give rise to discrimination and marginalization.